Castelar, by Josep Nin i Tudó. Castelar was born in Cádiz. He was an eloquent and literary man. 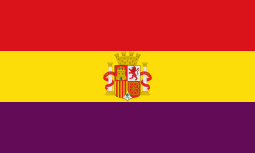 He was appointed dictator of Spain in 1873, but not being equal to the exigency in the affairs of the state, he resigned, and made way for the return of monarchy, though under protest. He wrote a history of the Republican Movement in Europe among other works of political interest. Emilio Castelar y Ripoll, by Sorolla. From that moment he took an active part in politics, radical journalism, and literary and historical pursuits. Castelar was compromised in the first rising of June 1866, which was concerted by Marshal Prim, and crushed, after much bloodshed, in the streets by Marshals O'Donnell and Serrano. A court martial condemned him in contumaciam to death by garote vil, and he had to hide in the house of a friend until he escaped to France. There he lived two years until the successful revolution of 1868 allowed him to return and enter the Cortes for the first time as deputy for Zaragoza. At the same time he resumed the professorship of history at the Madrid University. 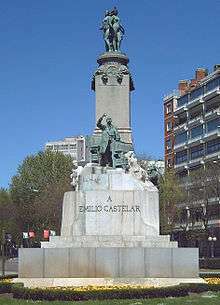 Castelar soon became famous by his rhetorical speeches in the Constituent Cortes of 1869, where he led the republican minority in advocating a federal republic as the logical outcome of the recent revolution. He thus gave much trouble to men like Serrano, Topete and Prim, who had never harboured the idea of drifting into advanced democracy, and who had each his own scheme for re-establishing the monarchy with certain constitutional restrictions. Hence arose Castelar's constant and vigorous criticisms of the successive plans mooted to place a Hohenzollern, a Portuguese, the Duke of Montpensier, Espartero and finally Amadeus of Savoy on the throne. He attacked with relentless vigour the short-lived monarchy of Amadeus, and contributed to its downfall. The abdication of Amadeus led to the proclamation of the federal republic. The senate and congress, very largely composed of monarchists, permitted themselves to be dragged along into democracy by the republican minority headed by Salmerón, Figueras, Pi y Margall, and Castelar. The short-lived federal republic from 11 February 1873 to 3 January 1874 was the culmination of the career of Castelar, and his conduct during those eleven months was much praised by the wiser portion of his fellow-countrymen, though it alienated from him the sympathies of the majority of his sometime friends in the republican ranks. Before the revolution of 1868, Castelar had begun to dissent from the doctrines of the more advanced republicans, and particularly as to the means to be employed for their success. He abhorred bloodshed, disliked mob rule, and did not approve of military pronunciamientos. His idea would have been a parliamentary republic on the American lines, with some traits of the Swiss constitution to keep in touch with the regionalist and provincialist inclinations of many parts of the peninsula. He would have placed at the head of his commonwealth a president and Cortes freely elected by the people, ruling the country in a liberal spirit and with due respect for conservative principles, religious traditions, and national unity. Such a statesman was sure to clash with the doctrinaires, like Salmeron, who wanted to imitate French methods; with Pi y Margall, who wanted a federal republic after purely Spanish ideas of decentralization; and above all with the intransigent and gloomy fanatics who became the leaders of the cantonal insurrections at Cádiz, Seville, Valencia, Málaga, and Cartagena in 1873. He was also a supporter of Iberian Federalism. Castelar kept apart from active politics during the twelve months that Serrano acted as president of the republic. Another pronunciamiento finally put an end to it in the last week of December 1874, when Generals Campos at Sagunto, Jovellar at Valencia, Primo de Rivera at Madrid, and Laserna at Logrono, proclaimed Alphonso XII king of Spain. Castelar then went into voluntary exile for fifteen months, at the end of which he was elected deputy for Barcelona. He sat in all subsequent parliaments, and just a month before his death he was elected as representative of Murcia. During that period he became even more estranged from the majority of the republicans. Bitter experience had shown him that their federal doctrines and revolutionary methods could lead to nothing in harmony with the aspirations of the majority of Spaniards. He was elected, to use his own words, "to defend and to seek the realization of the substance of the program of the Spanish revolution of 1868 by evolution, and legal, peaceful means." 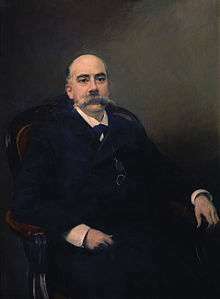 Hence the contrast between his attitude from 1876 to 1886, during the reign of Alphonso, when he stood in the front rank of the opposition, to defend the reforms of that revolution against Señor Canovas, and his attitude from 1886 to 1891. In this latter period Castelar acted as a sort of independent auxiliary of Sagasta and of the Liberal party. 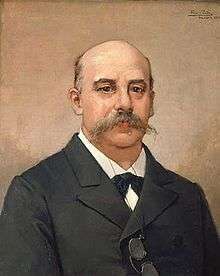 As soon as Castelar saw universal suffrage re-established he solemnly declared in the Cortes that his task was accomplished, his political mission at an end, and that he proposed to devote the remainder of his life to those literary, historical, philosophical, and economic studies which he had never neglected even in the busiest days of his political career. Indeed, it was his extraordinary activity and power of assimilation in such directions that allowed him to keep his fellow-countrymen so well informed of what was going on in the outer world.